This macaroni and cheese is all about the cheese – duh, right? Quality is super important, so splurge a little and do not use pre-shredded cheese! This is quicker than other recipes I have tried and it’s great if you have less than a full box of pasta in your pantry (my box weighed 9.9 ounces) and remnant cheeses in your fridge. I used smoked gouda and some other chunk that might have been Emmentaler? Next time I will use a sharp English cheddar, although the kids might not appreciate it. 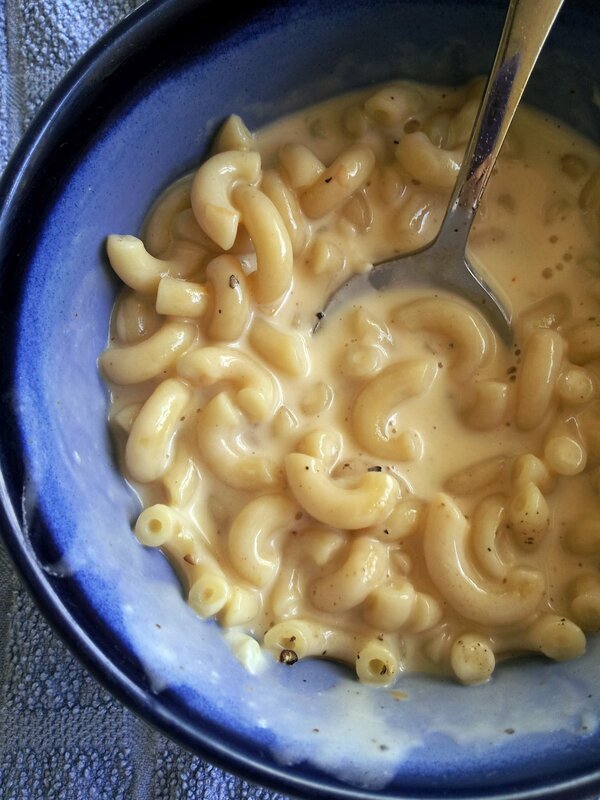 The cheese sauce is much more “soupy” than other recipes that are thickened with a roux, but the longer it sits and cools the thicker it becomes. Thanks for reading, enjoy! 1. Set a large pot of water to boil and cook the macaroni until tender. Strain the water and return the macaroni to the pot. 2. While the macaroni is cooking, mix the milk, flour, and butter in a medium saucepan. Stir until combined and butter has melted. 3. To the sauce, add the cream, mustard, salt, pepper, cayenne, and cheese. Mix together and simmer for ~5 minutes or until thickened. 4. Add finished sauce to macaroni and stir, cooking until evenly heated.